Are you Ready for the Blood? Straight up... here is your course map! There are so many things to look forward to at the Golden Ultra – a grueling vertical km race, a beautiful but challenging 55 km ultra on Day 2 and a rolling 20 km on Day 3. Wait a sec, did we say a vertical km? You bet we did. 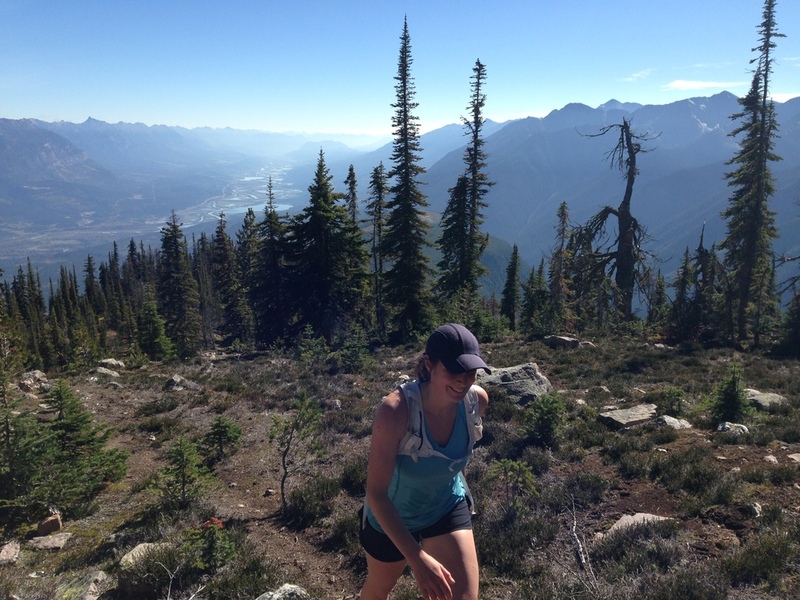 The Golden Ultra and Kicking Horse Mountain Resort are excited to bring the relentless but epic challenge of an official vertical km (VK) race to BC this September! And we lovingly refer to it as ‘The Blood’ on Day 1. The International Skyrunning Federation (ISF) defines a vertical km race as one having at least a 1000 m vertical climb, variable terrain, with a substantial incline not exceeding 5 km in length. Basically, as steep a climb and as much elevation gain as possible in 5 km or less. The vertical km racing scene has been gaining popularity over the last decade, most notably in the Alps but also throughout other parts of Europe and now North America too. Similar to fell racing, VK courses can be a variety of terrains from grassy slopes (like at Le Grand Serre in France) to rocky or stepped inclines (as in Chiavenna-Legunc, Italy) or even abandoned funicular tracks like at the prestigious Fully VK in Switzerland. In the US and Canada, other VK races are held in Quebec, New York, Montana, Arizona and North Carolina. So what will our very own VK be like in Golden? Runners will get about a km of uphill to ‘warm up’ before the real climbing starts (nice of us, huh?). Then, following a course connecting various alpine ski runs and following the steep chairlift paths before eventually hitting the final stretch of straight uphill single track trail, runners will make their way to the summit. Prepare for some hiking or fast walking on the steeper sections. Just over 1000 m in 5 km. Ouch. The pay off for this grueling uphill climb will be the amazing 360 degree views waiting for runners at the top. How long will something like this take? That all depends on how well you train your legs and lungs this year! No doubt, running the ‘The Blood’ in Golden is going to require great strength and intense focus and determination to keep your legs moving, lungs pumping and your pace up. Current world records in the official ISF vertical km are around 34 minutes for men and 41 minutes for women, leaving many wondering when somebody will finally break 30 minutes for a kilometer…a vertical km, that is. If you’re planning to challenge yourself and leave everything you’ve got out there on the ‘The Blood’ VK course in Golden, we hope you’ve got a lot of hills planned for your training this year! On top of the distance and endurance you’ll need to build if you’re also doing Days 2 and 3, focusing on leg strength over the coming months will serve you well for Day 1’s vertical sufferfest. Whether you’re training on long, mountain inclines or by doing repeats on short, steep climbs, allowing your body to settle in and find your solid, steady pace will be an important skill to practice. Undoubtedly, walking or power hiking is pretty common on VK courses but more than anything, staying focused and finding your own rhythm will be what gets you to the top. Does all this talk of vertical gain, steep inclines, burning legs and screaming lungs excite you? We thought so! The vertical km can be run as a stand alone event or as part of the 3-day, multi event weekend - looking forward to seeing you at the start of the Golden VK this fall!